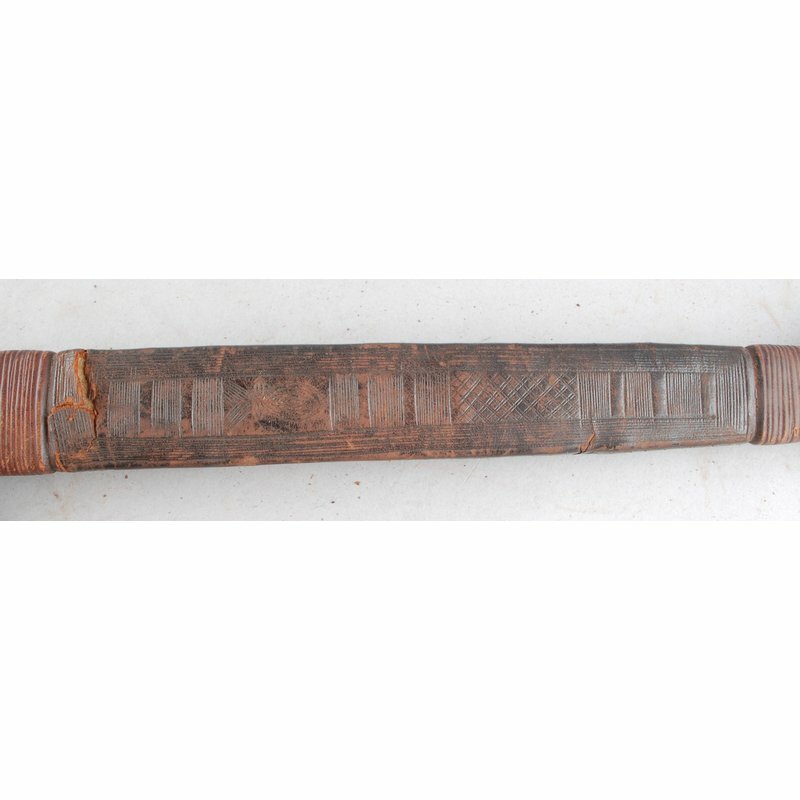 A sword, with a curved iron blade. 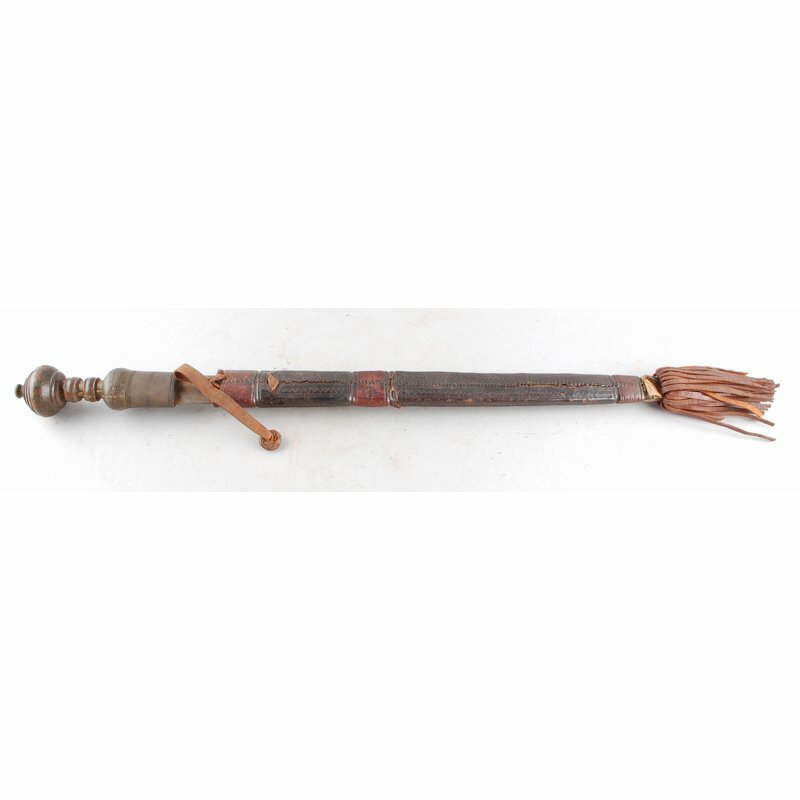 The hilt, or handle, is covered in tooled leather. 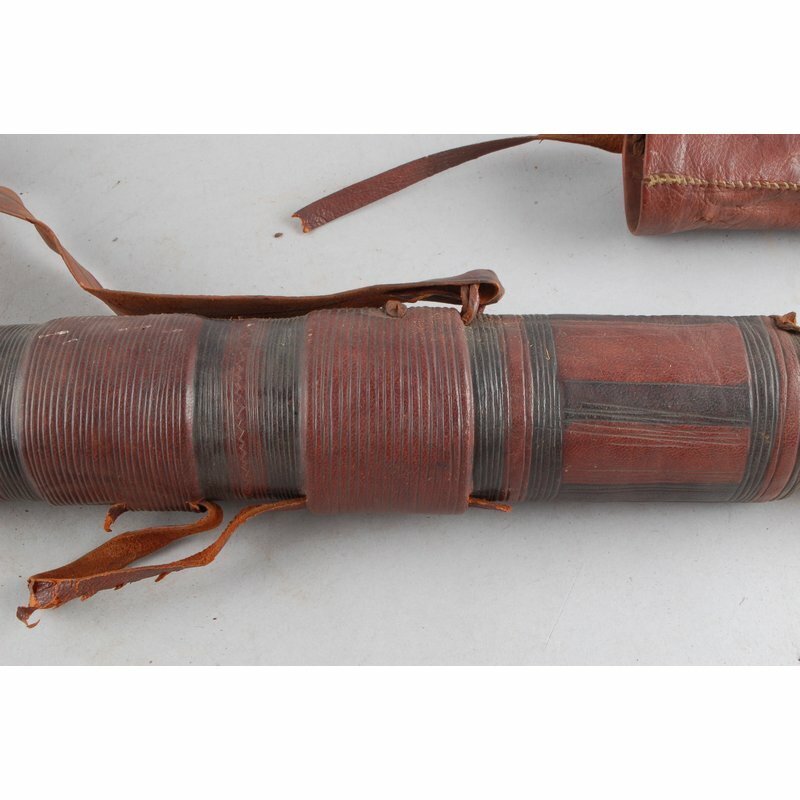 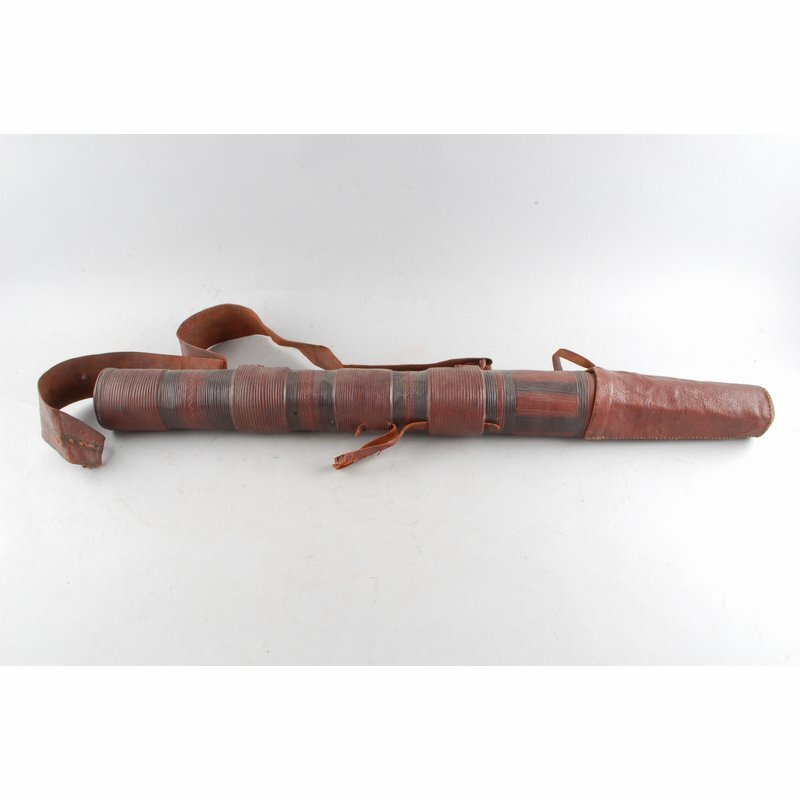 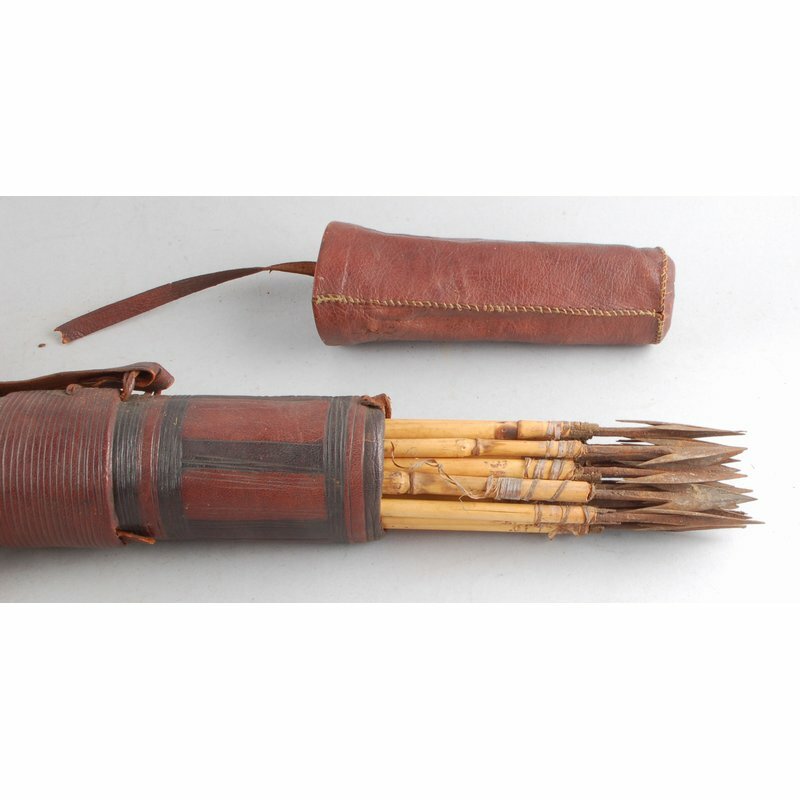 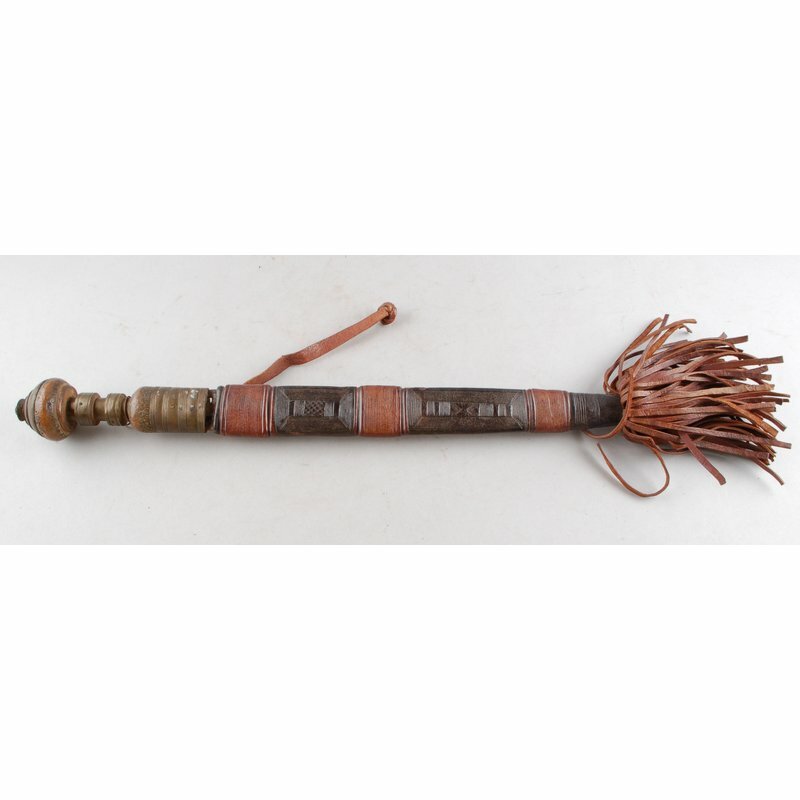 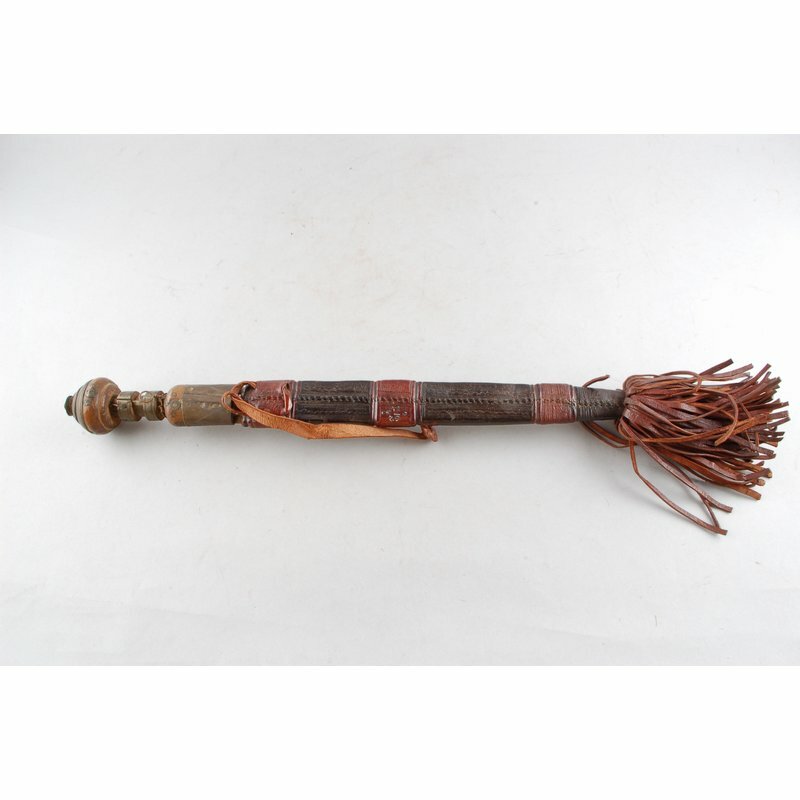 The sheath is made from tooled leatherwork with a tassel, in Mandingo leatherwork, Mandingo here, refers to a type of craftsmanship associated with Muslim elites.